Ann Arnold passed away Saturday, September 1, 2012 . In a 50-year professional career, she was a groundbreaking Texas journalist, first female press secretary to a Texas governor, and the longtime president of the Texas Association of Broadcasters. For 25 years, Arnold's vision, fearlessness and tenacity allowed TAB to flourish and prosper. 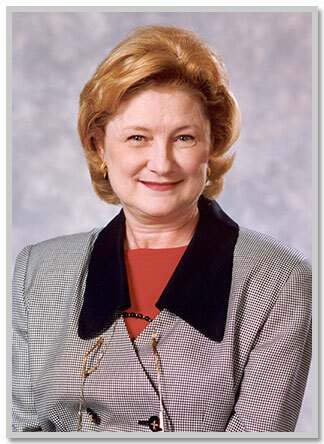 Her accomplishments and leadership helped ensure the continued vitality of the Texas broadcast industry. “Ann Arnold was an extraordinary and inspiring woman,” said TAB Chairman Mary Mike Hatcher of Bryan Broadcasting. “She was fearless in her advocacy for local radio and television broadcasters, for the public’s right to know how elected officials run our government, and in her long fight with cancer,” she said. Texas broadcasters honored her for legacy of work on their behalf by presenting Arnold TAB’s first Lifetime Achievement Award in 2007. “Ann was passionate about Texas and optimistic about the future,” said TAB Vice President Oscar Rodriguez. “She cherished the opportunity to help local broadcasters strengthen their communities and had yet to find the challenge that would daunt her,” he said. She is survived by her son and his wife, Merle and Julie Arnold of Fort Washington, Maryland, son Jonathan Arnold of Austin, and sister Sue March of Friendswood.